Hope Treks was started by owner/operator, Tonya Dreher, after her first trek in Nepal, an event raising money for her foundation, Hope for Gus. HFG funds medical research for Duchenne muscular dystrophy, her 11 yr old son lives with this devastating disease. Tonya Dreher took a life-changing trek through Nepal after Hope for Gus was founded. After getting to know her incredible, resilient, and hard-working guides and porters, Tonya wondered how to improve their lives and working conditions while raising funds for Hope for Gus. After much research and soul-searching, Hope Treks was born! At Hope Treks, we believe in doing the right thing and passing on the good karma to you, our client. In addition to funding medical research for the world’s most devastating and terminal childhood disease, we also practice responsible and green tourism through treading very lightly in the mountains and the countryside of Nepal. We make every effort to minimize negative social, economic and environmental impacts on the places we travel. We are committed to paying a living wage to our Nepalese guides and porters who, in the past, have often worked for as little as $10 a day. We ensure that they have proper, safe clothing and gear, as well as insurance. Unfortunately, these considerations are not the norm within the trekking business in Nepal. The result is extreme exploitation of very dedicated and hardworking people. Our guides are well-trained and very experienced. We believe they should be compensated as such. These things set us apart in the trekking community. We simply don’t believe in shortcuts and aspire to always do the right thing. No surprises, no hidden agendas. Just obsessively great customer service, fair and equal treatment for clients and employees, and a sincere attempt to wipe Duchenne muscular dystrophy off the face of the earth! Hope Treks donates all profits to the Hope for Gus Foundation, which funds medical research for Duchenne muscular dystrophy. Hope Treks manages the trekking part of the ETED journey to Base Camp and fundraising campaign for the Hope for Gus Foundation. Hope Treks is a proud supporter of Shree Chheskam Secondary and Primary Schools in the village of Chheskam, Nepal. 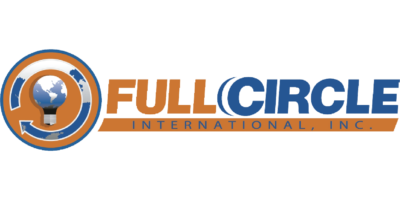 Full Circle International is a Minnesota-based company focused on the development of innovative products for the paint and drywall trades. The company was founded in 2003 by Kent and Natalie Annis. 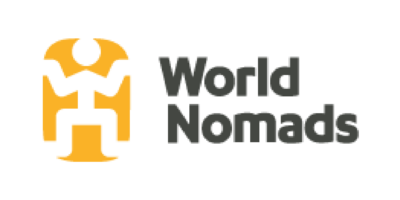 We recommend travel insurance from WorldNomads.com, available to people from 140 countries. It’s designed for adventurous travellers with cover for overseas medical, evacuation, baggage and a range of adventure sports and activities. 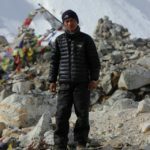 I participated in a trek to Everest Base Camp in 2015. Two local gentlemen named Dev Tamang and Adhish Rai were my guides. I am a former outdoor leader with many trips under my belt that I have provided leadership for. It felt odd to be a member rather than leader of a group, and I wondered how that would work for me. It worked out MUCH better than expected. Dev and Adhish were more than just excellent guides. They were warm, welcoming, full of helpful suggestions, caring, and knowledgeable of both their route and the area. They were always concerned about our well-being and safety. Dev and Adhish helped our band of eight mostly strangers to coalesce as a group. They connected to each of us individually, but also related to us as a group. The greatest endorsement one can give a service is the action of using it. This fall, I will again return to Nepal on a trek organized with Hope Treks and will be welcomed by Dev and Adhish, who have become more than just guides to me. They have become friends. My trek to Everest Base Camp, while sometimes strenuous and challenging, it was always uplifting and gratifying. The experience was highlighted by the extreme beauty of the Himalayas and the thoughtful and accommodating group led by Tonya Dreher. Our Nepalese guides, Dev and Adhish, always had a smile and answer to my constant goofy questions. Dev also delivered mightily on my request to see a real life Yeti. 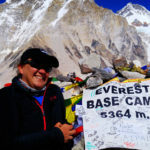 I have visited Nepal many times… I was invited to document and film the ‘Everest to End Duchenne’ project with a group organized by Tonya Dreher and led by 2 guides Dev and Adhish. Nepal is a magical country to visit and particularly to film or photograph. As a filmmaker, it was crucial to have a well organized trek that provided me with the freedom and safety to capture the amazing images this country offers. Both the guides and Tonya were fantastic. They went out of their way to show me the best views, point out particular wildlife, as well as being sensitive to the local population and most importantly ensuring the safety of the whole group. I cannot recommend them enough. Tonya and the Hope for Gus Foundation organized a trek to Everest Base Camp to raise funds and awareness to defeat Duchenne Muscular Dystrophy in 2015. Tonya did a remarkable job of getting this amazing journey off the ground, including hooking us up with Dev and Adhish as guides. They were truly professional, knowledgeable, had great connections in the community there, and made every part of our journey the best it could be. 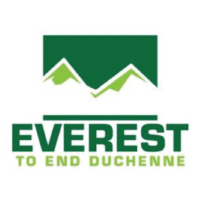 I highly recommend this team to anyone considering a trek to EBC or anywhere in Nepal. I trekked with Adhish and his team in June 2016. This was my first trip to Nepal. I was very worried that I would not be physically able to complete the trek. Adhish and his team were so supportive. They helped me every step of the way, sometimes literally! I enjoyed the trip so much that I have booked again with Adhish in September 2017 – this time all the way to Everest Base Camp! In May of 2017, I trekked to Everest Base Camp, via Gokyo Lakes and Chola Pass with Adhish Rai as my guide. Adhish was everything you could ask for in a guide. He was very friendly and kind. He was so well organized and knew so many facts and interesting stories about the Solokumbu Region. His main goal, aside from my safety, was always that I was enjoying myself and having fun. He knew when I could push myself further and when to hold me back and prevent altitude sickness. He is a wonderful person and an even better guide. If there was an option to give him 5 stars I would give him 6! I have just been trekking in the Annapurna region of Nepal. Our guide Dev (Khularam Tamang) was the best possible guide you could wish to have, so helpful and knowledgeable. I am a pensioner so the Trek was not easy, but Dev helped and supported us all the way. 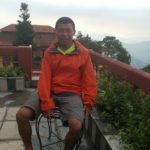 I would thoroughly recommend Dev to any size or age trekking party… he must be about the best in Nepal! Thanks to Khularam (Dev) Tamang, Jesper and I had a very, very good trekking trip in Nepal in 2014. Our trip was perfectly planned and Khularam was always well prepared. E.g., we went to places like Gokyo Ri, Chola-Pass, Everest Base Camp, Khalapatar and Fifth Lake. 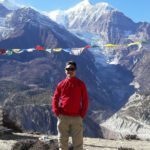 If you or somebody you know are planning a trip to Nepal I highly reccomend you use Dev as a guide! Hope Treks operates treks in Nepal to raise money for the foundation Hope for Gus, which funds medical research for Duchenne muscular dystrophy.